The National Bird of St. Kitts and Nevis is the Brown Pelican. Its scientific name is Pelecanus Occidentalis, but is locally known as a "Booby". In its youth,its head, neck and upper parts of the body are brown in colour, and mostly white below. As the bird matures, the majority of the body becomes dark brown while the upper part of the head turns white. During the post-nuptial molt the adult's neck turns white. The neck and head are not extended during flight. Brown pelicans are sometimes solitary feeders, but on occasion may also be found in small flocks as they feed on schools of fish near the surface of the sea. They can be found throughout the West Indies and in the sub-tropical regions of the Americas. Their colonies nest in low trees, and in bushes near the coast. A Brown Pelican will usually lay 2-3 dull white eggs, between March and April, which will hatch 28-30 days later. 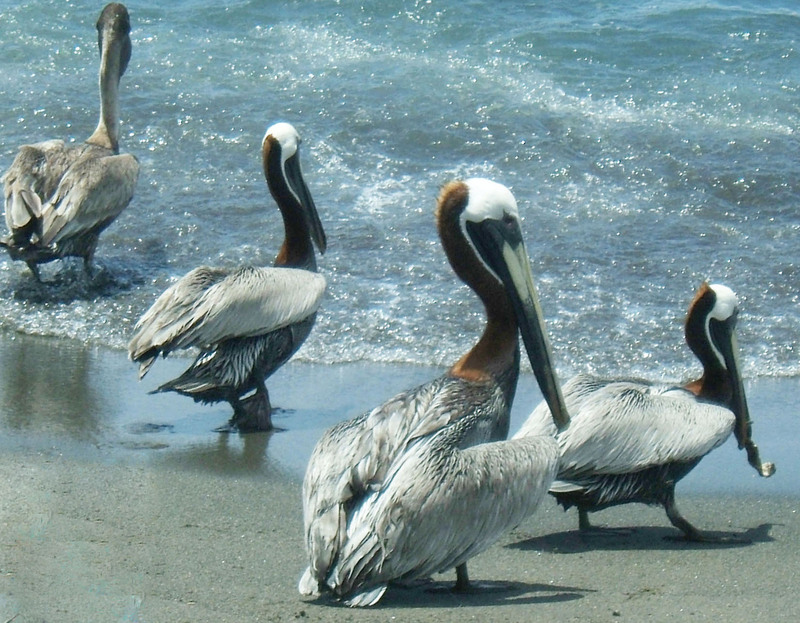 Brown Pelicans live on fish; mostly the non-game species. Size: The wingspan of the Brown Pelican reaches up to 84 inches. Today, there have been 28 visitors (82 hits) on this page!